Motherhood Moment: Book Nook: How Clients Buy - A Practical Guide to Business Development for Consulting and Professional Services. 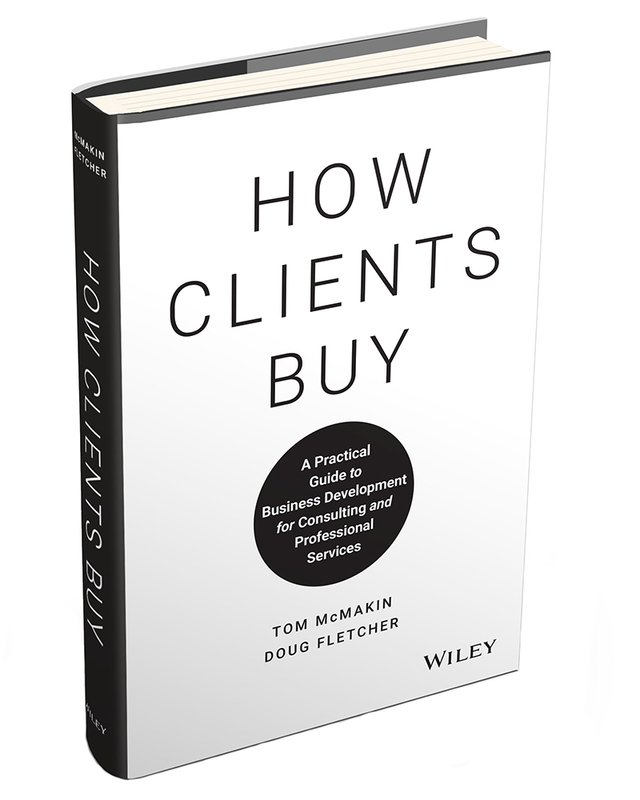 Book Nook: How Clients Buy - A Practical Guide to Business Development for Consulting and Professional Services. Most people in client-based professions are very comfortable in the type of work they do, whether it's accounting, design, PR, or other professional services. It can be tricky, however, to figure out how to sell the work - and that can be hard for people starting to get off the ground in a freelance profession, or for small businesses trying to grow a customer base. I had a chance to see an e-book written by Tom McMakin, the CEO of Profitable Ideas Exchange (PIE), and professor and business strategist, Doug Fletcher. They are a Montana-based team on a mission to arm every professional service expert with the right tools as they build their own business to succeed as rainmakers. In How Clients Buy: A Practical Guide to Business Development for Consulting and Professional Services (Wiley, March 5, 2018), they provide a framework, method, and structure for making sense of the maddening process of trying to sell the work that they do. Their 7 Elements Framework provides a better understanding of how clients buy so that each of us can increase our success. The book discusses how to become a "rainmaker" in one's field, and the best ways to market - not by selling work, but by developing competence and building trusting relationships. I liked that the book didn't take a one-size-fits-all approach, but instead encourages readers how to use their own strengths and weaknesses, as well as preferences and personality, to become a rainmaker in an authentic way.